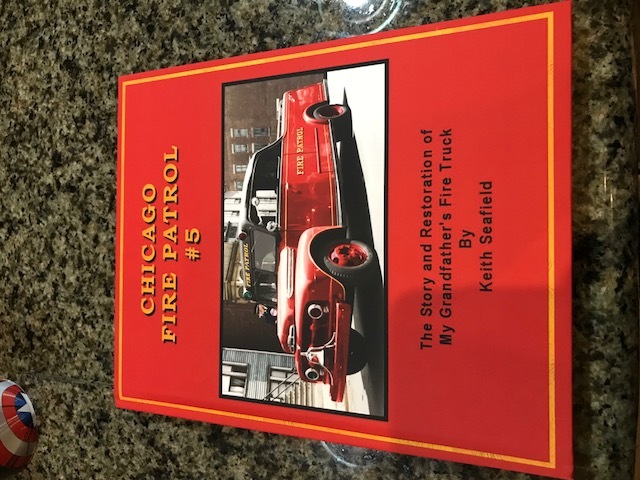 My new book on the story and restro of my grandfather's fire truck is in print and ready to ship. Hardcover, full color comprised of 120 pages its $30 + $5 shipping. Please email me at kseafield@bellsouth.net for payment. A second book will be going to the printers next week. " The Rig of The Chicago Fire Patrol"
This Hardcover 152 page book will have many never seen before photos of Patrol rigs. I don't have a price from the printing company yet.